I’d like to welcome author P.K. Gallagher, author of the YA paranormal, Cerberus to DJ’s Book Corner. Thank you for taking the time to come dish it up with me! Well, I wrote my first story when I was in the third grade, but my first book—that is, the first piece of any significant length with the semblance of a fully fleshed plot—came the summer before fifth grade. It was this terrible story called On the Run about these three kids who are blamed for assaults on their guardians and must run in order to escape being sent to prison with a trial so they can prove their innocence. At some point they get kidnapped for no adequately explored reason and escape using some conveniently-placed fireworks and other elements of deus ex machina. Yeah... It was bad. Tell us a little about your novel, Cerberus. Cerberus is the result of many, many years of blood (paper cuts), sweat (writing outdoors in the middle of August), and tears (writers block and the odd existential crisis). It’s kind of a dense book because there were a number of stories I wanted to tell in this one book. It’s the story of a kid who just wants to make his family proud. It’s a cautionary tale of what happens when people let their prejudices blind them to the real troubles of this world. It’s a story about the effect secrets have on different types of love. It’s a story about humanity, faith, fate, and the nature of damnation. It’s one of those books I hope people can read multiple times and get something new out of it each time. I had a great time writing it, and I really want people to have a great time reading it. Sum the main character Kaeden up in three words. What inspired you to include so many different types of paranormal creatures/beings in your Solace series? It wasn’t so much inspiration as inevitability. Like I said, there were a lot of stories I wanted to tell, and in order to tell them I had to include a lot of different creatures. Plus, it’s just fun to have all these elements in a single story. I was able to play with their interactions, nuance the dynamics between them, and really examine the way real people think and behave under certain circumstances by using these fictional beings. If Cerberus were a movie, what would be the perfect first song on the soundtrack? Ooh, I love this question! Music is actually a really important part of my writing process. “Wasteland” by 10 Years. What does “Speculative Young Adult Fiction” mean to you? To me, it’s writing with no rules. Or rather, writing with only the rules I want to include. Speculative fiction allows me to transcend the limitations of the world we live in and writing for young adults lets me write for people just like me. It’s like sharing an experience with a friend I’ve never met. Ha! How’s that for sentimentality. Many of your books can be found for free online. Why did you choose the free route for so much of your work? I suppose it’s because, at the end of the day, I don’t write because I want to make money (though it is nice to be able to pay the bills). I write because I have stories to tell and I want people to read them. Do you need absolute quiet to write? Do you listen to music when you are writing? That depends on the scene. Action scenes are almost always written to music (the fight after the rave was written to “We Stitch these Wounds” by the Black Veil Brides), while emotional and revelatory scenes are written either to silence or white noise. Who are three of your favorite authors? Books? Stephen King, Neil Gaiman, Chistopher Paolini, and The God of Small Things, Hamlet, and The Shining, respectively. As an author, what is the best compliment either of you could receive from a reader? I write a genre that is a little bit saturated (okay, a lot bit saturated). When you write about supernatural creatures, vampires especially, it’s easy for people to lump your book in with all the others. So for me, the best compliment I can receive—and have received—is that in addition to being good, Cerberus is far removed from being “just another YA vampire novel.” On her book review blog Pagecandy, Janel Comeau said that Cerberus “is what paranormal YA fiction should be.” I about died from sheer happiness. Last, but not least, my Totally Off Topic & Ridiculous Question: Do you like candy corn? If you do, do you eat it by the little colored sections? 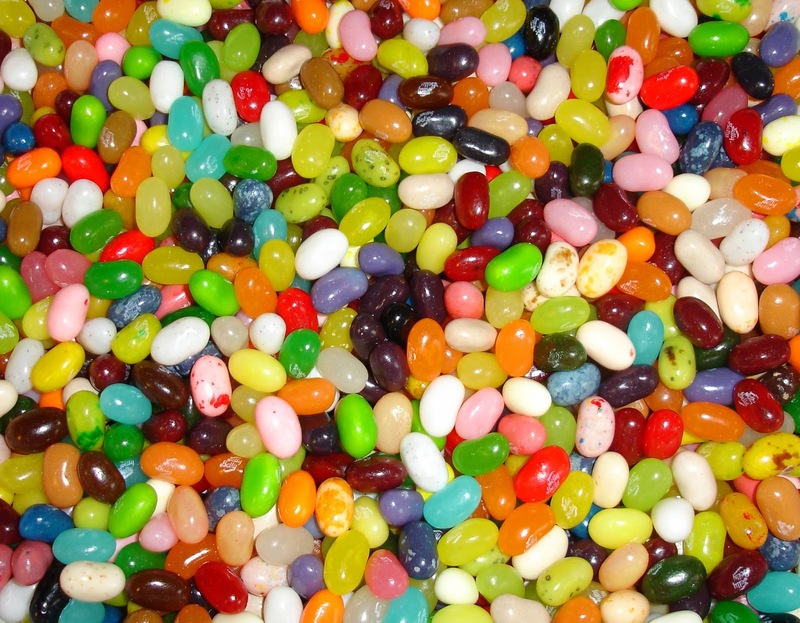 What about jelly beans? Do you separate them into colors before eating them? I do...Just wondering...Am I the only one? Haha! 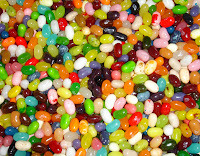 I love jelly beans, and while I don’t group them before eating them, I refuse to eat multiple flavors simultaneously. As for candy corn, I actually kind of really hate it. It tastes weird and whenever I got it from trick-or-treating, I had this nagging suspicion that it was left over from a half-dozen Halloweens past. Then again, that might have been because I had a habit of saving the candy corn I received and having my parents pass it out at our house the next Halloween. It’s kind of ironic because in Janel’s review, she compared Cerberus to candy corn. Luckily, though, she has a higher opinion of the stuff than I do.